A wonderful winery and brewery tour that operates out of Gold Coast and Sunshine Coast, with a romantic twist! 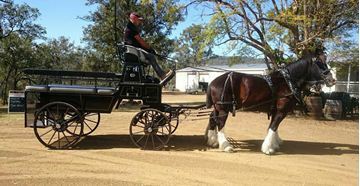 Spend the day exploring on a horse drawn carriage, visiting a winery, enjoy food and the wine tasting. This is the perfect gift for parents, friends or anyone who wants to spend the day learning more about wine.